I want to share the truth about what happened to my mom. Everything I share here is 100 percent true. Fact – My mother is an excellent mother, she always put her children’s needs ahead of her own. My mother never introduced her children to strange men in fact she rarely dated. As a matter of fact, my Mom took on the challenge of homeschooling me so that I could pursue my dreams of being a competitive tennis player. 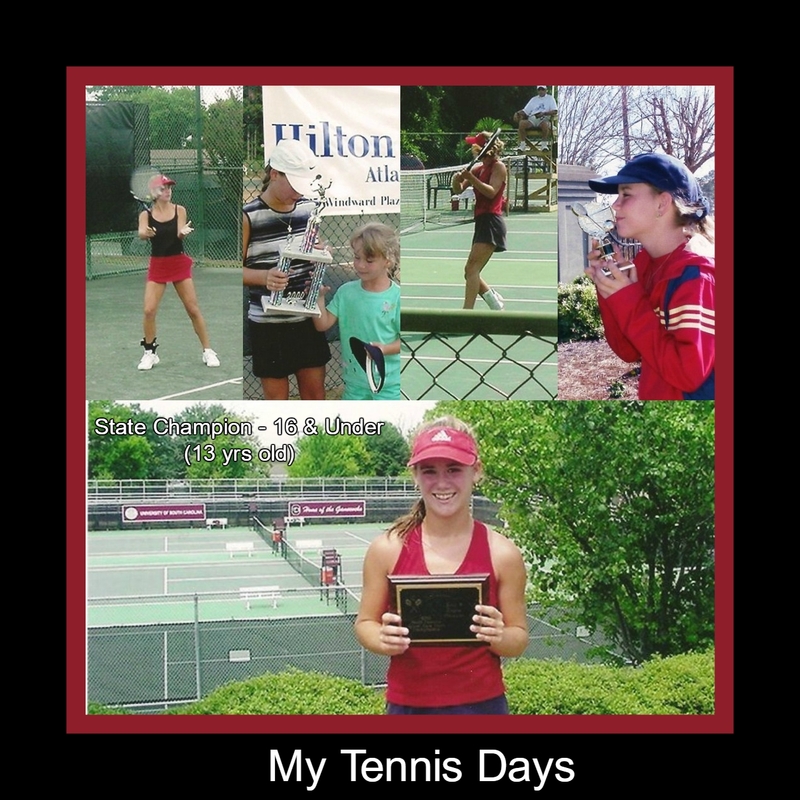 This paid off when I won the South Carolina State Championship Girls’ 16 Division when I was only thirteen. 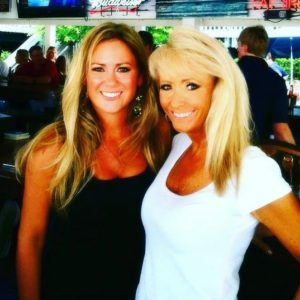 Fact– I will ALWAYS regret introducing my mom to Tinder – Mainly I will always feel guilty for encouraging her to go on a “date” with Thomas Ravenel. Our world has never been the same. Fact– My mom and Mr Ravenel matched on Tinder in late October 2015. Mr. Ravenel asked my mom out several times before she finally agreed to a “date”. Fact– I saw their exchanges on Tinder, Imessage, and Facebook. I heard Voicemails from him. Including the voicemail he left on the night they met. Fact– My mom and I did not watch Southern Charm in 2015. I wish we had been viewers and then that “date would have never happened! I have since forced myself to watch some clips of him since and he appears to be a psychotic, violent, dangerous man. No decent daughter would have encouraged their mother whom they love very much to go out with an animal like him. Fact– We did NOT have knowledge of his previous jail time. Again the date would never have happened. Fact– The night of their date I helped her get ready. WE had fun picking out clothes together. Fact– The voicemail… Mr. Ravenel left a voicemail right before my mom left to get in the car with him. My mom played this on speakerphone. This was the first time I felt uneasy at the thought of her getting in the car with him. In my opinion he sounded like he was slurring his words. I brushed off the unease and told myself that the street we lived on was kind of hard to pronounce. Fact– As I mentioned earlier, I helped mom get ready for her date. That included picking out jewelry for her wrists. Fact– Her wrist didn’t have a mark on them before she entered Mr. Ravenel’s car. Fact– I greeted her when Mr. Ravenel dropped her off a few hours later, her wrist was cut and already showing signs of bruising. Fact– I was the first person she told about her alleged assault. Fact– I encouraged her to let me take the pictures of her wrist in case she wanted to press charges. She was in shock and not acting like herself for days. Fact– Later Gloria Allred did lead her case. I was allowed to be present for the entire mediation AND I heard EVERYTHING! Fact– Thomas Ravenel DID settle on that June day of 2016 with sexual abuse allegations on the table. Fact I did NOT sign a Non Disclosure. Fact My mother has never broken her end of the NDA. In fact when Mr. Ravenel’s lawyer informed her lawyers that I posted tweets about this, she was shocked and angry at me. Fact– My mom and I moved away from Mt Pleasant S.C two years ago after living there for twenty years to get away from Mr. Ravenel. Fact– Mr. Ravenel randomly called my mother’s cellphone almost one year to the day of the alledged assault, she didn’t answer. (Dec 2016) THIS OCCURRED ALMOST TO THE ANNIVERSARY OF THE “alleged assault” and we will never know what he wanted as my Mom declined his call. I do have phone records of this exchange. Fact – For now I am not going to discuss the DISTURBING details that I heard and saw during mediation. Fact– No means NO! There is NEVER an exception to this rule! Toddlers understand this so why is this such a difficult concept for 55 year old men! @TIMESUPNW TIME IS UP Mr. Ravenel! Fact– I was accused by Mr Ravenel’s Lawyer of defamation recently in the FitsNews Article..I have only told the truth! I challenge Mr. Ravenel and his lawyer to prove this defamation accusation! However this is a challenge they can’t win, because you can’t defeat the TRUTH! TomASS is a dog! I have a feeling after y’all coming forward the women are going to start coming out of the woodwork! I hope & pray you (and your Momma)get only love & support through this! Im not surprised by this horrible incident, although I dont know Thomas personally Id have to say many who do would concur.His treatment of women is just gross & would be willing to bet his new gf Ashley will be tossed aside before too long.Lets pray she sees these allegations & goes with her gut.Shes way too sweet, & seems like your Momma is as well which is probably part of his MO.Best wishes & healing for you both!